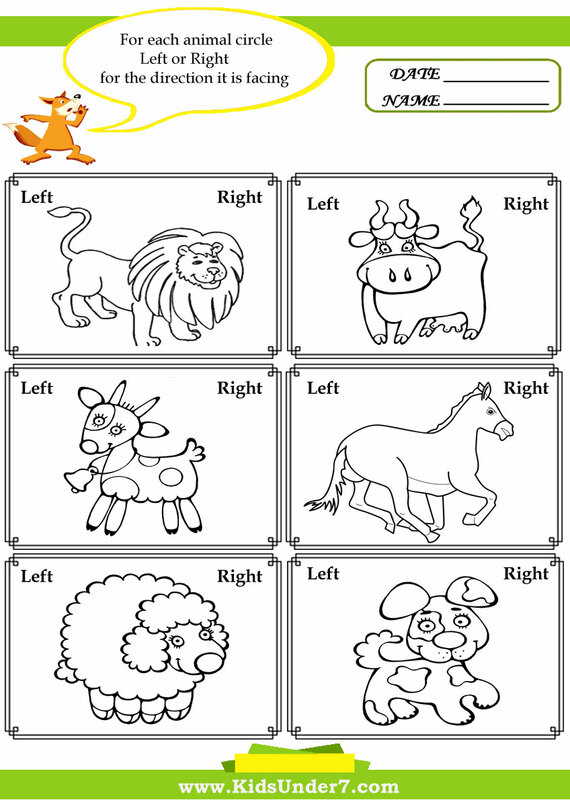 Our different sets of printable left and right worksheets that will be fun for kids and help them practice their ability to recognize left from right. 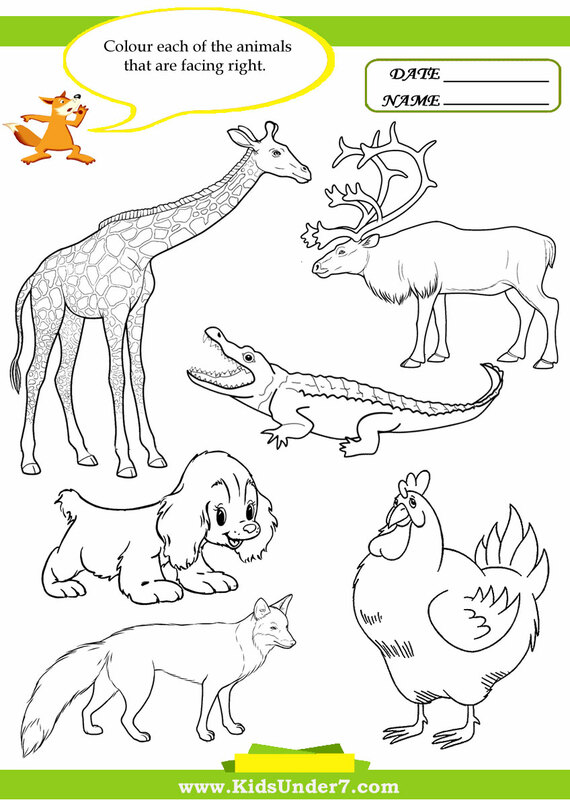 These left right activities include some fun animal, thing and shape themes, so check them out. 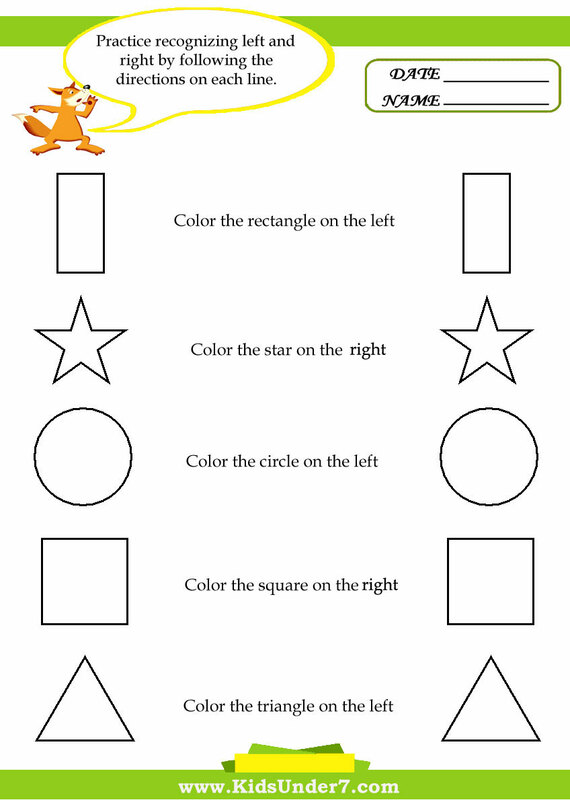 This set of left and right worksheets asks kids to look at the pictures in each box and follow the directions to circle or color the picture on the left or right. Click on any of the images below to view and print the worksheet. For each animal circle Left or Right for the direction it is facing. This set of printable left right worksheets asks children to follow the instructions on each line and circle or color the item that is either on the left or right side of the page. Click on any of the images below to view and print the worksheet. 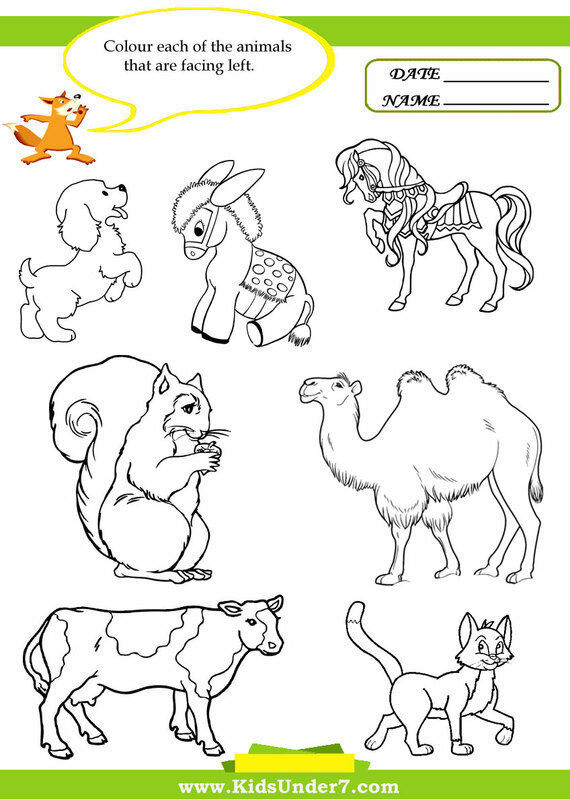 Colour each of the animals that are facing left.Colour each of the animals that are facing right. 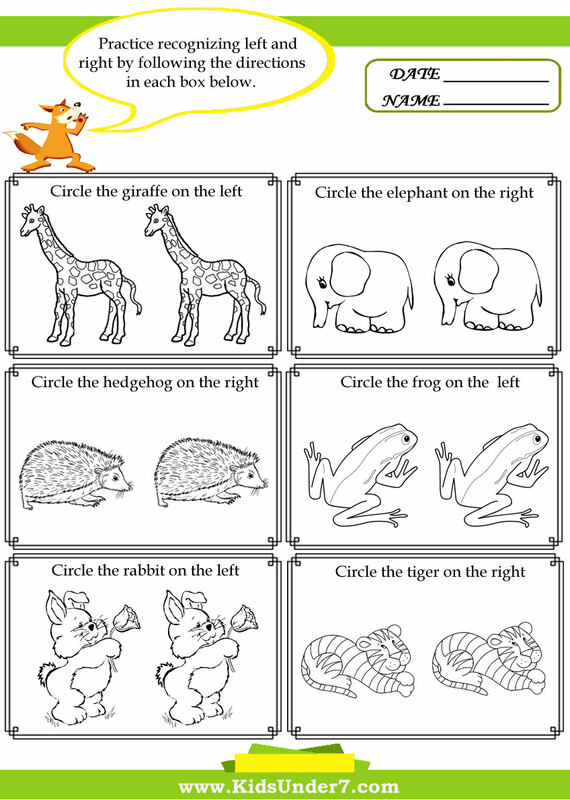 This group of left right activities asks kids to look at the pictures and follow the directions to circle or color the items that are facing left or right. Click on any of the images below to view and print the worksheet. 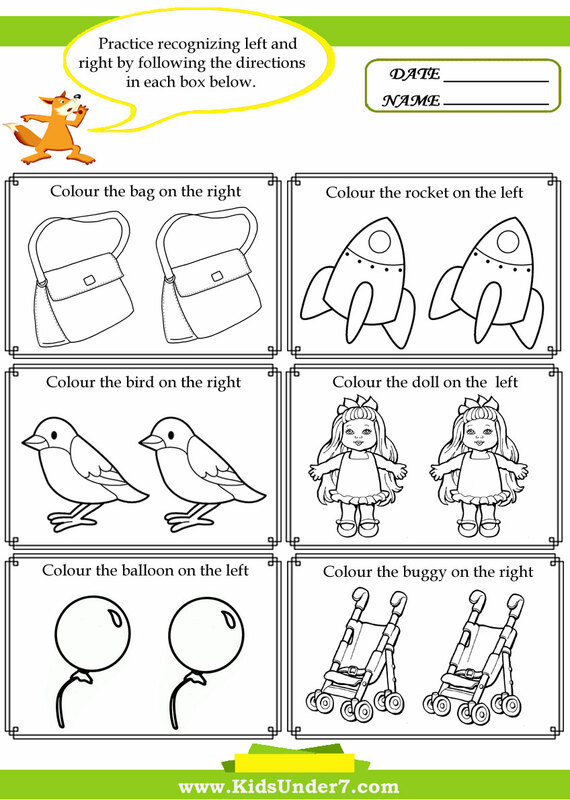 Practice recognizing left and right by following the directions on each line.